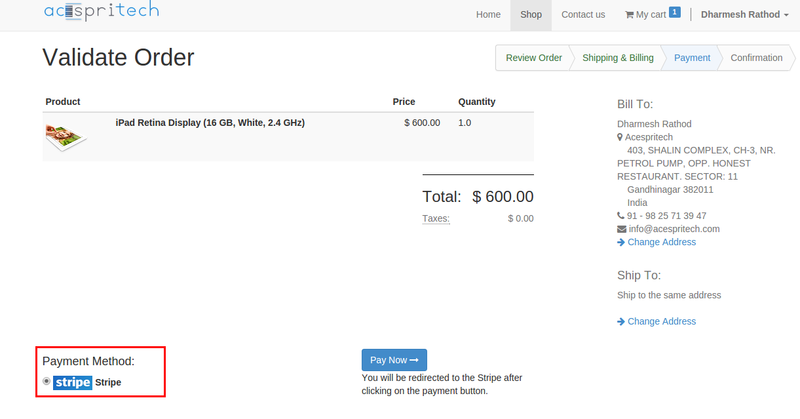 We have implemented Stripe integration for Odoo V8 with Payment Acquirer module which will automatically enable during sale, invoice and website process. After installing this module, we can see new record for payment acquirer. 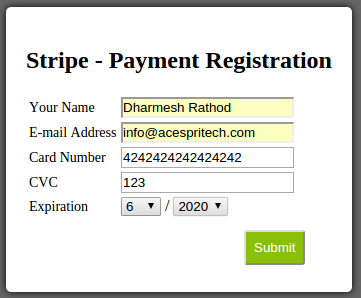 During payment process from Odoo website, stripe option will automatically appear. And it will switch another form to take card details from user. 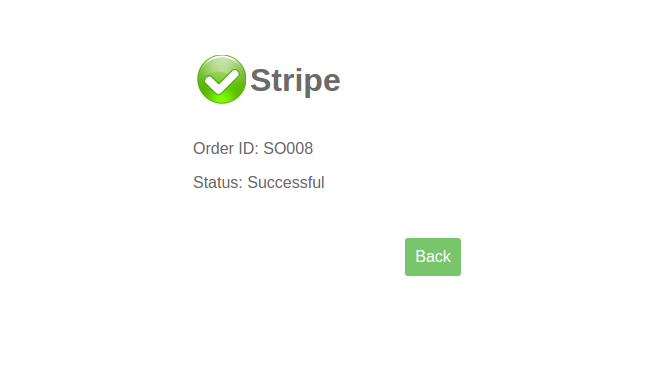 After successful transaction with Stripe server, it will display proper message and create sales order into Odoo. 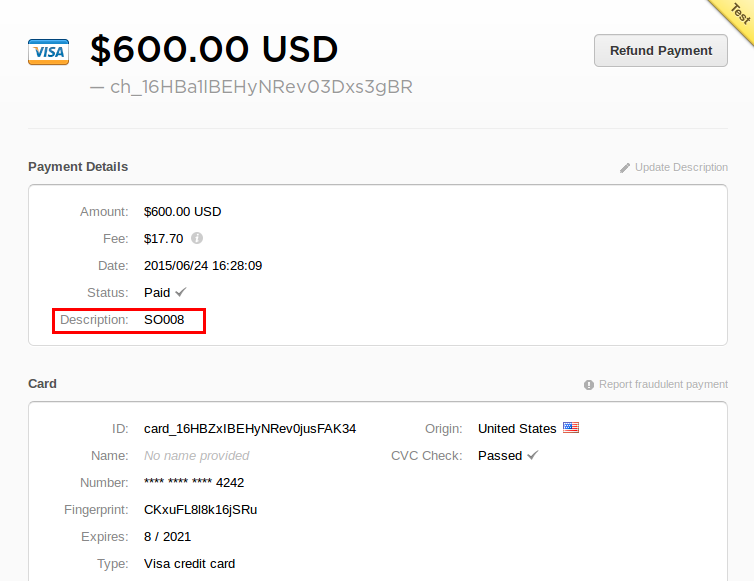 It will display transaction history into user’s stripe account also. Is this in the odoo app store?